Indian Institute of Technology (Indian School of Mines), Dhanbad, dated 09.04.2019, inviting tenders under Two-Bid System for Supply and Installation of High-Pressure Gas Adsorption Isotherm System. Tender notice issued by Mineral Exploration Corporation Limited, India dated 11.03.2019, inviting tenders for purchase of microprocessor controlled land gravimeter. Tender notice issued by Mineral Exploration Corporation Limited, India dated 26.02.2019, inviting tenders for slim-hole digital geophysical logging system comprising of winching system, surface recording system, down hole tools with radioactive sources and container and accessories. Tender notice issued by Mineral Exploration Corporation Limited, India dated 26.02.2019 inviting tenders for purchase of microprocessor controlled proton magnetometer. 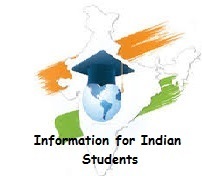 Tender Notice issued by IIT, Indian School of Mines, Dhanbad. Tender Notice issued by Rail Wheel Plant/Bela(Indian Railways). Bharat Heavy Electricals Limited (BHEL), Electronic Division, Bengaluru dated 04.03.2019 inviting tenders for SUPPLY of Sag Rod FOR 75MW GIPCL and 10MW GSFC SPV,CHARANKA,GUJARATH, RFQ No. BKC000024 Dt.04.03.2019 Due Dt. 11.03.2019 (E-tender). Global tenders issued by The Research Designs and Standards organisation of Indian Railways,Government of India, Lucknow for the work of "Rehabilitation of Instron make fatigue testing system installed in Fatigue Testing Lab of RDSO". Issued by Bharat Heavy Electricals Ltd, Bengaluru, India for manufacturing and supply of PV Module (crystalline silicon) as per BHEL technical specification under two-bid system. Tender notice issued by Prasar Bharati, dated 7th February 2019 for supply,ercetion, testing and Commissioning (SETC) of 100 W digital compatible VHF F(V) solid-state MOSFET Technology based broadcasr Transmitter in (1+1) configuratiob alongwith VHF FM Antenna, RF coaxial foam dielectric cable and other associated equipmentsitems. Global tender issued by Gas Turbine Research Establishment, Bangalore, India for machining,brazing and coating of single crystal blade HP turbine rotor and Vane HP turbine. Tender for Supply and Installation of FTIR Spectrophotometer (with DRIFTS attachments) with high pressure, high temperature reactor setup (with temperature controller and backpressure regulator) including Mass flow controllers for reacting gases and Julabo (circulating bath for temperature control) and two Mass spectrophotometers along with data acquisition, retrieval and analysis system and power backup. Supply, Installation and configuration of latest version of Nonlinear analysis software Ansys. Indian Institute of Technology (Indian School of Technology (Indian School of Mines), Dhanbad, India for Supply and Installation of X-Ray Photoelectron Spectroscopy (XPS). Notice Inviting Tender (NIT) for Purchase of sheets of Cotton Fabric Based Passport Cover Material amp Heat Activated Ultra-Violet Film.